Rosie and her beau were fun to photograph and game to try my suggestions. 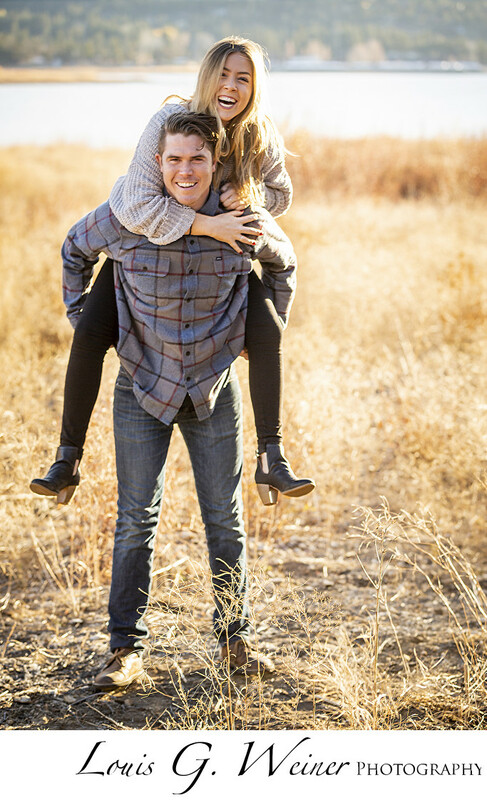 We captured a lot of fun images showing their joy at being together and being in the Big Bear Mountains. With end of day light working for us we photographed a lot of different variations. My goal during family portraits is to capture lots of groups and individual portraits so my clients have lots to chose from or we can create a family portrait wall in your home. I offer beautiful professionally made prints that are the highest quality and I guarantee you will love them or I will reprint them at no charge. The files are very high quality and can be made into very large prints. Location: Juniper Point, Big Bear lake California.